After the challenging waves and wind at Safety Bay we are back at Lucky Bay this week. If you would like to introduce your kids to windsurfing, they do not need to be a member for the first session. 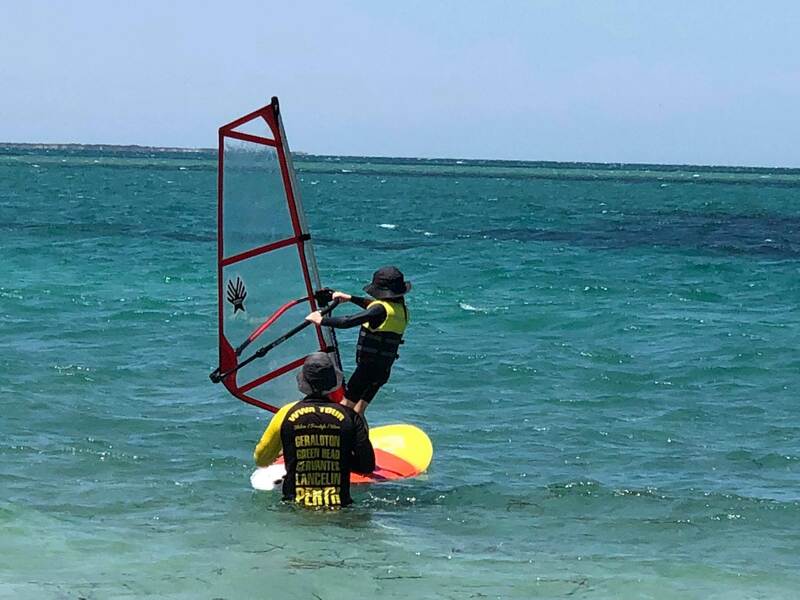 After the first session we request that kids become a member of Windsurfing Western Australia. To keep costs down a Kids Membership ($35) has been establish or if there is more than one sailor in the family we have Family Membership (parents $85, kids $30). For the beginner kids, it is required that there is a parent per child while they are on the water. PFDs are mandatory while on the water. This season we have a range of boards and sails available to borrow until you ready to buy your own equipment. Starboard GO for Mum or Dad to try windsurfing too. That was another great day with the kids at Melville Beach yesterday - thank you Windsurfing WA. Having kids' races was an inspired idea - there is nothing like a bit of competition to get them motivated and my young bloke Jonah now cannot get enough of it. On top of that my 7yo daughter Allegra is now super keen as well, which I never thought would happen. That just shows the value of getting lots of kids sailing together. Looking forward to doing it again next Saturday.